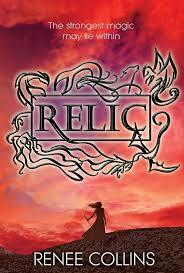 Kasie West: Happy Relic Day!! Have you all heard about this book??? "After a raging fire consumes her town and kills her parents, Maggie Davis is on her own to protect her younger sister and survive best she can in the Colorado town of Burning Mesa. In Maggie’s world, the bones of long-extinct magical creatures such as dragons and sirens are mined and traded for their residual magical elements, and harnessing these relics’ powers allows the user to wield fire, turn invisible, or heal even the worst of injuries. Relic is a thrilling adventure set in a wholly unique world, and a spell-binding story of love, trust, and the power of good." Yes! That! So head on over to Renee's blog and congratulate her on the release of her book! Best book! It really is! Congrats to Renee! It's on its way in the mail right now!